2017 was a very busy year for music, and I had the chance to find new music to fall in love with. Below are albums and EPs that helped me survive this hectic year and hopefully you will enjoy them too. If you click the images it will link you to my favorite song off of each album. 1. 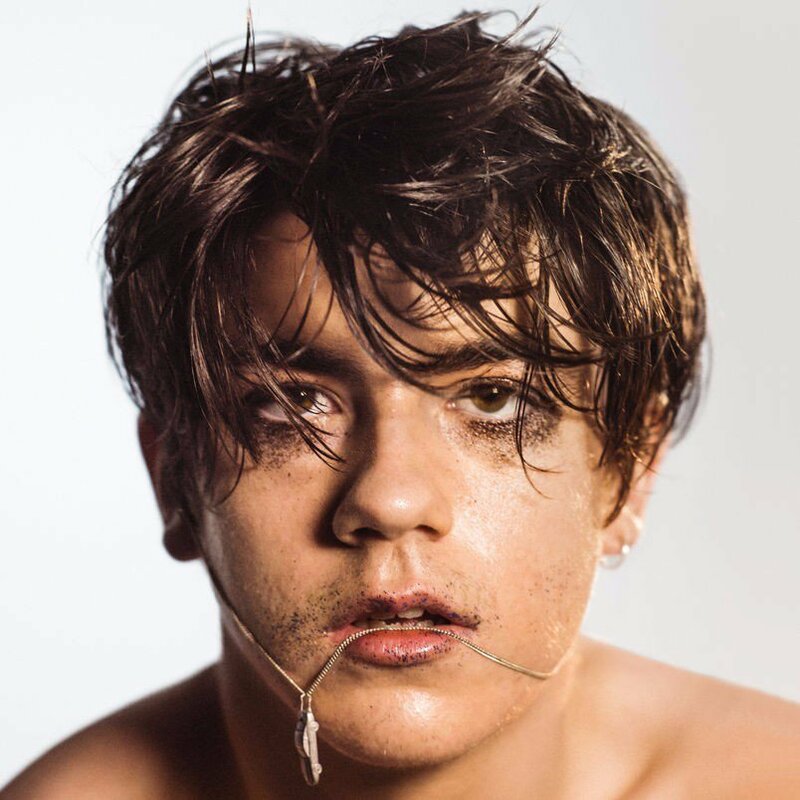 Declan McKenna - What Do You Think About the Car? Stumbling upon Declan McKenna performing "Brazil" on Conan, I had instantly fallen in love with his lyrics. Instead of writing typical songs about love or heartbreak, Declan brings songs that touch on sensitive topics such as politics, religion, sexism, and social issues. His music video for "The Kids Don't Wanna Come Home," depict young people talking about how their generation is lost and confused. The whole world needs to watch this music video and maybe the world will be a better place. First discovering Vagabon at Music Taste Good 2017, I stood there behind the barricade thinking about life and everything around me. This album is able to pull out your emotions while taking you to an empty room where the guitar echos, making you search for answers. After finishing a long tour, Mike Rosenberg announced the release of this album by his own label. He approached this release differently, taking a long deserved break and disappearing from the world before reemerging again. This album revives his lyrical abilities, sticking to the same rhythm he's renowned for. Two songs in particular caught my eye: "Setting Suns" and "And I Love Her," songs that were never released on official albums before. The album, "Goths" by the Mountain Goats is comprised of upbeat, soft jazz, and pleasant songs in regard to goth culture. After producing albums about wrestling and other various topics, Darnielle, the singer, has proven his ability to tackle any topic and weave lyricism into an album. If you take close note of the lyrics, there are mentions of everything from the goth scene in Long Beach to a song all about Andrew Eldritch, a popular figure in goth culture. Back with their upbeat guitar riffs and slides, "baseball" and "traveler" by Hippo Campus set the feel of the entire EP. Ending with the song "warm glow", Hippo Campus ends the EP in a mellow setting. The more you listen to this EP, the more you will enjoy it. With everything going on in the world today, this album cries escape, escaping everything and just enjoying your life as it is, in its comfortable state. This album allows you to drift to that state and stay there for as long as you want (or maybe just as long as this album is playing). Approaching the album a different way, Finn conducted four livestreams in which fans from around the world would be able to witness the songs come to life. The final product, full of complex arrangements and backing vocals that set the tone for each song, Finn released the album within a week. Bringing dreamy indie pop to their second album, singer Molly Rankin sets the tone of the album stating, "Who starts a fire just to let it go out?" in their song "Dreams Tonite". This album takes you into a world of breakup, making you experience those emotions within the lyrics. This album teaches you about life, allowing yourself to accept that doing what you want is better than doing what others want you to, enabling you to find yourself and to embrace freedom. This album may be the most upbeat and playful one so far that Auerbach has created. He steps away from the heavy guitars and brings out a different side, while still maintaining the "soul" that his albums always have, creating an mixture soul, pop, and folk together.